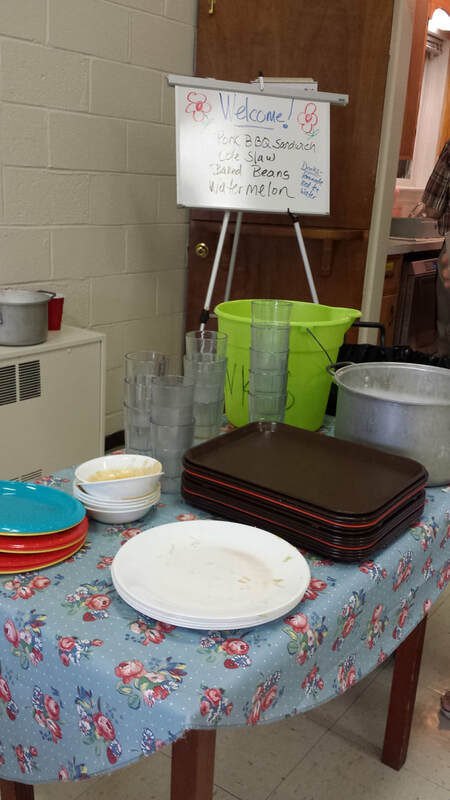 Disciples Kitchen is a not-for-profit organization that operates by volunteer power. Without the many individual volunteers and organizations who donate their time and resources to prepare and serve meals, Disciples Kitchen would not be able to operate. The Board of Directors and staff of Second Presbyterian Church would like to thank everyone who has made this ministry possible. Volunteers arrive and begin to set up and prepare food (if food has been prepared elsewhere and only needs to be warmed up, this could be slightly later). Set up would include organizing chairs and tables, sanitizing tables and high chairs, wrapping silverware, setting up serving line and food preparation. (possibly earlier in the winter months) let clients in so they can sign up (if first time in attendance), register their attendance and share a prayer together. A member of the serving team should be designated to greet and register clients. Serve the meal. Entrance door is locked at 10:45 am for Breakfast and 12:15 pm for Lunch. All clients should have been served and are requested to leave to allow time for clean-up.